There is a secret bar in Scottsdale that pays homage to its past. 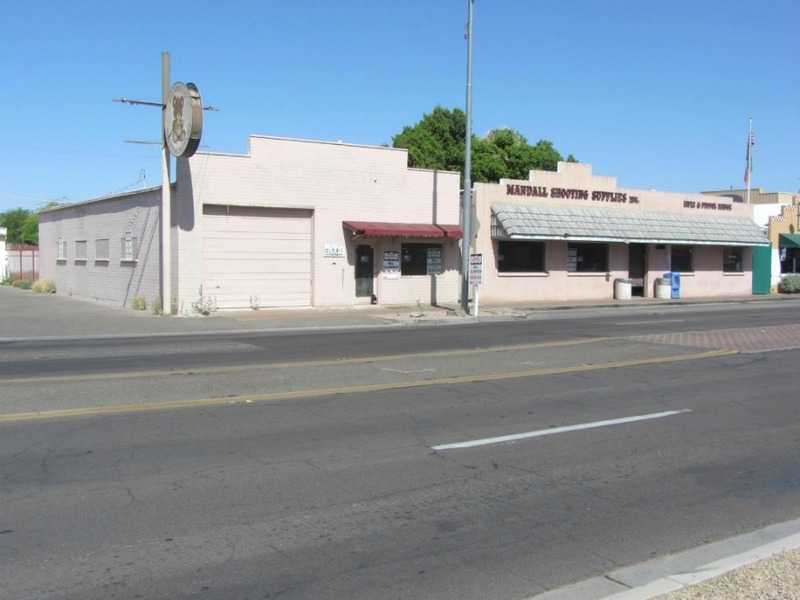 Six years ago, the corner of Goldwater Boulevard and Scottsdale Road was occupied by a faded pink building that had been vacant for years. All that was left were the remnants of a gun supplies store, an auto shop, and knitting space. You may even remember a faded sign with "Mandall's Shooting Supplies" written on it, along with a bear holding a gun. Drive past that intersection today and those same buildings, which have since been renovated, are home to new businesses. While everything looks modern on the outside, the building's history is still prevalent, though a bit transformed, on the inside. A staircase in the middle of The Creative Center of Scottsdale -- a community workspace for artists -- takes you into the basement, where six 50-foot concrete tunnels remain of what was once Mandall's shooting range. Pictures taken by Michelle Biely, director of the creative center and landlord of the buildings, show what the shooting range looked like after years being vacant and seemingly untouched. You can view more historical photos in the player above. 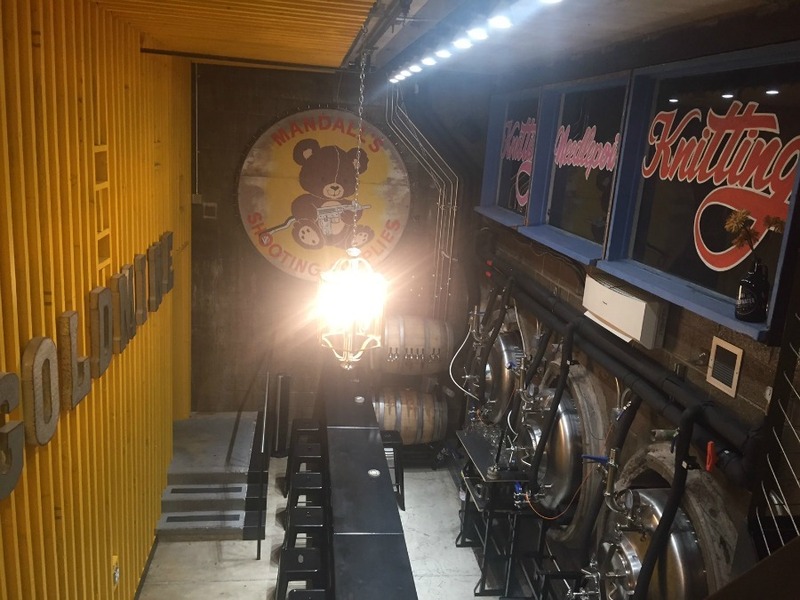 Today, the tunnels still exist, though the room has been transformed into an underground taproom called "The Goldmine". The taproom is part of Goldwater Brewing Co., a family-owned brewery that opened in 2015, and houses the brewery's specialty brews and barrel-aged beers, said Dillon McClelland, co-owner and creative director for Goldwater. Three 10-foot fermentation tanks fill three of the shooting tunnels. 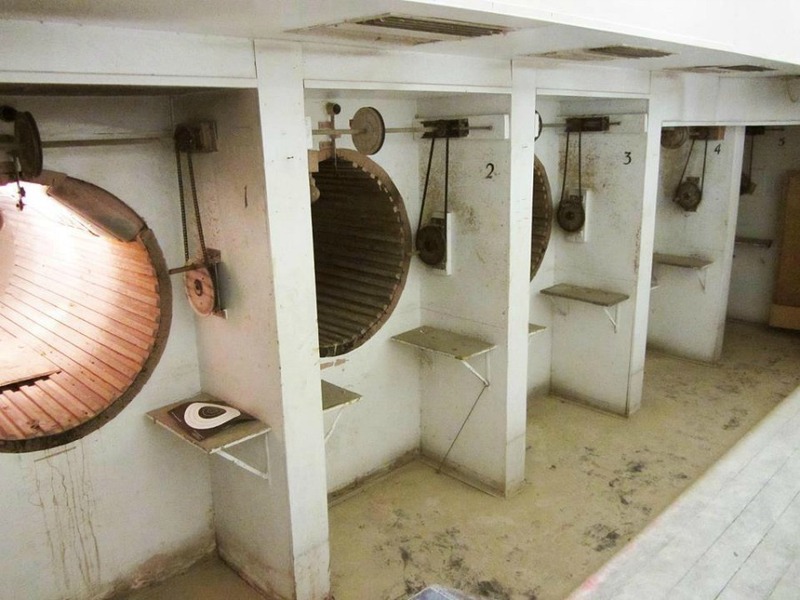 One of the tunnels has been restored to what it likely looked like while in operation; pulleys on the wall and top of the range let the shooters move their target down the tunnel. The ceilings are high and space is narrow. It can fit 25 people comfortably, though you may have to stand. A handful of metal stools line the bar. A second "Mandall's Shooting Supplies" sign hangs on the wall beside a chandelier that was found in the building. Above the fermentation tanks are mirrors that read "Knitting Needlepoint Knitting," remnants of the knitting shop where Sip Coffee and Beer House now lives. McClelland said the taproom's hours are still being determined. Sometimes it is open on Saturdays or for private events. Other times a guest may be taken down there on a whim. Depending on interest, the hours may change in the future, said McClelland. Goldwater Brewing Co. opened its doors off Scottsdale Road in 2015. It is owned by McClelland and his brother, their dad, and a brother-in-law. McClelland said his dad brewed beer at home for decades. Growing up, he and his brother would help with the brewing process. There are usually 15 to 20 beers on tap in the main taproom. Throughout the year, seasonal and specialty brews are also available. Goldwater does not have a kitchen and therefore does not offer food. They have a popcorn machine that makes jalapeno popcorn. However, McClelland said guests can -- and are encouraged -- to bring in their own food, including take-out from a delivery service.